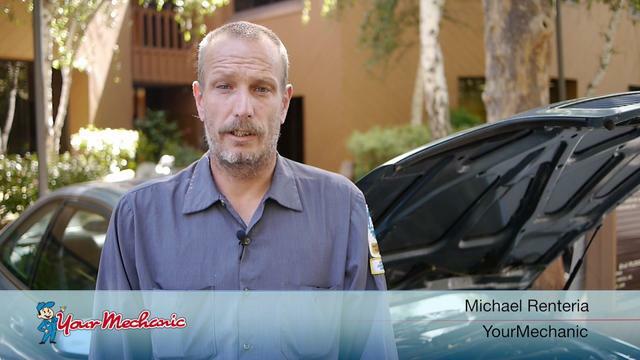 Pontiac Laurentian Brake Master Cylinder Replacement at your home or office. Pontiac Laurentian Brake Master Cylinder Replacement costs $191 on average. What is the brake master cylinder and how does it work? The brake master cylinder has a piston that pressurizes fluid in the brake lines to each wheel cylinder as you apply force to the brake pedal. That pressure moves the pistons that are in the wheel cylinders. As the pistons in those wheel cylinders move, they force the brake pads or shoes tightly against the rotors or drums allowing the car to stop quickly. The size of the pistons in the master cylinder and in the wheel cylinders are carefully selected when designing a car. This allows drivers to apply moderate pressure on the brake pedal when stopping, but creates tremendous pressure applied at the wheel cylinders. A car can then stop quickly even at high speeds. Depending on how much force is applied to the brake pedal, the pressure in a car’s brake lines will typically be in the range of 800 PSI to 2,000 PSI. When to replace the master cylinder? External fluid leaks. There should be no fluid visible on the external surfaces of any portion of the master cylinder or the plastic fluid reservoir. Low, slowly falling, or spongy brake pedal. Faulty internal seals on the piston can cause internal leaks and also seepage of brake fluid into the power assist brake booster. Internal leaks will typically be accompanied by a low pedal, a spongy brake pedal, or a pedal that slowly sinks as you maintain pressure. In all cases, you will experience reduced braking abilities. Discolored brake fluid. No brake fluids, other than those specified for the year, make, and model, are fully compatible with a car’s internal rubber seals in the master cylinder. Discoloration of brake fluid can also occur due to moisture and particulate contaminants in the fluid. Warning lights on the dash. If the brake system warning light illuminates, there are several potential causes but failure of the master cylinder is in the list of causes that would have to be investigated. How do mechanics replace the brake master cylinder? On vehicles with power brakes, the master cylinder is bolted to the metal housing of the power brake booster. There is usually an electrical plug connecting to a brake fluid level sensor on the master cylinder reservoir and that plug must be disconnected. Once all steel brake lines are disconnected from the master cylinder, the master cylinder is unbolted from the brake booster and removed from the vehicle. The new master cylinder must be bench-bled to expel air from internal passages that contain the piston. Then the new master cylinder is bolted to the brake booster and the brake lines are reattached. The electrical plug for the fluid level sensor is reconnected. Whenever a new master cylinder is installed, brakes lines to wheel positions must be bled to remove air, old fluid and contaminants. If your vehicle is equipped with anti-lock brakes, the mechanic may use a bidirectional scan tool during brake bleeding to actuate the ABS pump, thus ensuring that all air is removed from the complex valving in the ABS system. All brake line connections that were removed during the master cylinder replacement are inspected for any leakage and the vehicle is road tested to ensure normal operation of the brakes. Is it safe to drive with a master cylinder problem? No, any fault in the master cylinder, which is part of the braking system creates a safety risk. A fully operational brake system is essential to quickly stopping your car. Driving a vehicle isn’t safe, if the master cylinder is leaking or has other faults, as braking distances might be longer than normal. The braking system on a vehicle is among the most important safety systems and must be fully functional to safely drive your vehicle. The master cylinder is only one component of many in a vehicle’s braking system. During replacement of the master cylinder, all vehicle braking system components should be inspected to ensure maximum braking power is available. The amount of friction material remaining on the brake pads and brake shoes should be verified. Brake lines and flexible rubber hoses at each wheel position should be inspected for corrosion and deterioration. The power brake booster should be evaluated to ensure that power assist is working properly.